At Reiter & Walsh ABC Law Centers, we understand that finding resources for cerebral palsy can be difficult. We aim to help parents find resources and information to help make sure their child is cared for and has the resources they need – no matter what. One of the hardest things to do is knowing where to start, so we’ve compiled a shortlist of key resources that parents of children with cerebral palsy may find useful when it comes to the search for resources. How do I get legal help to pay for my child’s cerebral palsy care? How do I get financial or medical help for my child with cerebral palsy in Ohio? How can I get my child educational help or early intervention in Ohio? Where can I find housing resources for individuals with cerebral palsy in Ohio? Cerebral palsy is a diagnosis with varying levels of severity. At its core, the diagnosis means that a person has an injury that impacts their muscles and movement. By itself, a cerebral palsy diagnosis does not mean that a person has a cognitive impairment, but intellectual and developmental disabilities (I/DD) are often concurrent diagnoses with cerebral palsy, which means that the two diagnoses often occur together. While in some cases, cerebral palsy is not associated with medical malpractice, in many cases, there can be a link between the care that mothers received during pregnancy, labor and delivery and cerebral palsy. Cerebral palsy is strongly associated with medical malpractice, meaning that often, cerebral palsy can be caused by a medical staffer’s mistake. In medical settings, there are certain things that medical practitioners should be doing in given situations – these are distilled into guidelines collectively called ‘standards of care.’ Preventing medical mistakes involves following these standards when a doctor is providing care. If they deviate from the standards of care and cause an injury, that is called medical malpractice. The prevention of cerebral palsy stemming from medical errors involves a combination of good communication, proper training and accountable medical systems. 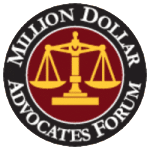 If your child’s development isn’t progressing typically and you’re concerned that medical malpractice may have been involved, please contact the Ohio cerebral palsy attorneys at ABC Law Centers. Our firm is solely dedicated to helping parents with birth injuries secure their child’s futures. Unlike other firms, we focus on 100% birth injury, unlike other firms, who deal with slip-and-fall injuries, car accidents, medical device malfunctions and other injuries not related to birth. Because birth injuries are so complex and require the use of multiple specialists and experts, it’s extremely important that you call a firm dedicated solely to birth injuries. 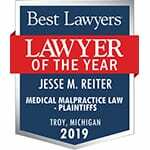 Ohio cerebral palsy attorney Jesse Reiter is admitted to practice in Ohio and in the Ohio Supreme Court. We have a history of numerous multi-million dollar birth injury verdicts and settlements, and our attorneys have won many awards for their outstanding work. We can provide you with a free and confidential case evaluation and explain your legal options. If you decide you would like to pursue legal options for securing your child’s future, we can go through the possibilities and help bring you peace of mind, knowing your child will be cared for – no matter what. Knowing where to start looking can be hard when it comes to cerebral palsy and/or disability resources. There is no one central database of disability resources, and resource availability can vary widely state-to-state. To help parents of kids with cerebral palsy begin their search for information, the cerebral palsy attorneys at ABC Law Centers have provided a short list of potential resources that the parents of children with cerebral palsy may find useful. While this list is by no means comprehensive, we hope it will shed light on some of the organizations in your area that may help provide information and services for helping care for your child. It is also worth noting that certain national organizations (like the Arc, the United Way, and United Cerebral Palsy) have many local and state divisions. These groups provide a wide variety of different programs (ranging from educational to employment-related to financial).We encourage parents to check out these groups, as they often are one of the best ways of finding services in a particular geographic area. Additionally, one of the most effective ways to find local resources is to contact your city, county or regional Department of Health or Department of Human Services. Often, these departments have comprehensive service lists and trained staff who can assist in finding help specific to your child’s needs. Ohio 211: The 211 services connects you to a representative with connections to community services who can help point you towards resources you may need. For residents of Central Ohio, the HandsOn Central Ohio directory serves the same purpose. The American Association on Health and Disability has a listing of both public and private disability resources. Disability Rights Ohio helps individuals with disabilities advocate for themselves and exercise their rights as citizens. Olmstead Rights provides a listing of Ohio disability advocacy and resource centers across the state. Ohio Statewide Independent Living Council (SILC) helps adults with disabilities obtain the social supports they need to live in a community-based setting. The state also has several developmental centers that can provide residential comprehensive care for individuals who require more supports, as well as programs that provide supports for individuals who live in community-based centers. These DCs are listed on the Department of Developmental Disabilities’ (DODD’s) website. For children 0-3, Early Intervention services result in the creation of an Individualized Family Service Plan (IFSP) that can help your child transition to a school environment. These are often called either Zero to Three or Help Me Grow. For older children, Individualized Education Plans (IEPs) are made in conjunction with the student’s teachers, psychologists, and other school staff to help maximize the child’s abilities in an academic setting. Most IEP-related services are provided through a child’s local school district. Center for Independent Living Options, Inc.
Red Treehouse: Ohio’s online resource promoting and supporting the physical, emotional, intellectual and social development of children and young adults, prenatal-25.